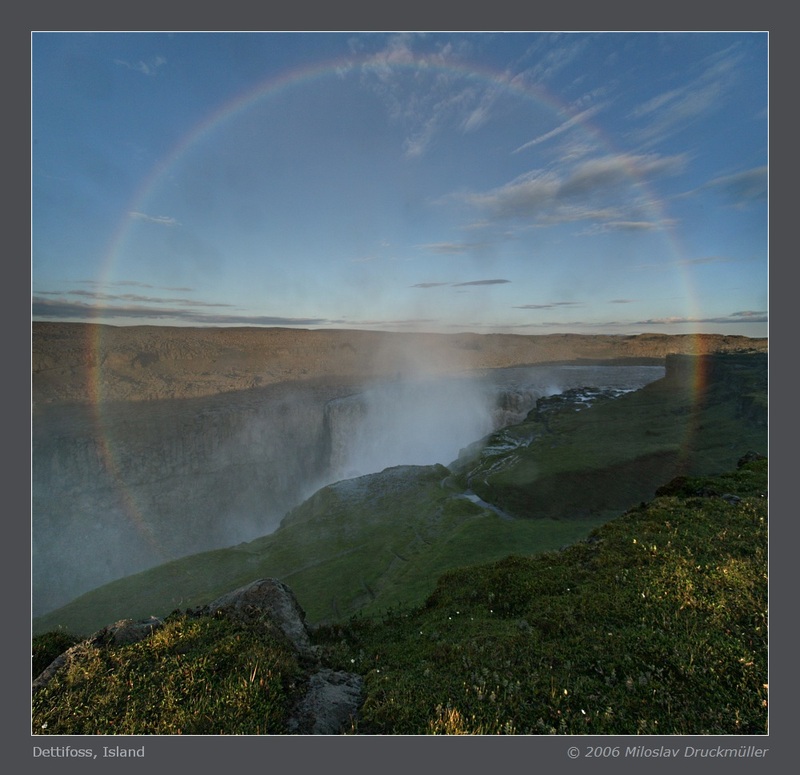 This nearly 360° rainbow is rather unique. 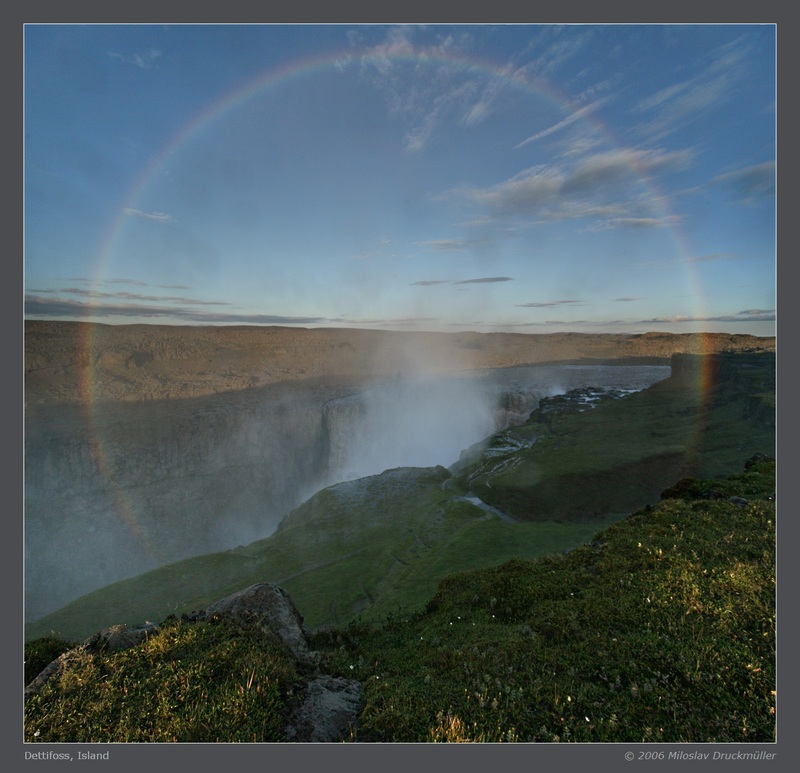 You must be lucky to see the rainbow nearly during the sunset or sunrise and you must stand at the edge of a chasm. The image is a horizontal composition of two images taken with 17mm wide-angle lens and Canon EOS 5D full-frame digital camera. Click on the image or on the following reference to display the higher resolution image version (415 KB, JPEG format).